The latest manifestation of poor political leadership occurred during the latter part of 2010, when incumbent president Laurent Gbagbo refused to relinquish power following his electoral defeat at the hands of a longtime adversary, Alassane Ouattara. By early December 2010, both men had been sworn in as president in separate, conflicting ceremonies. 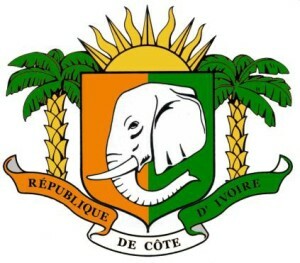 The stalemate sparked Côte d’Ivoire’s second civil war since 2002, resulting in over 3,000 deaths and the displacement of over a million people before Ouattara finally assumed power in April 2011. The relative peace that now prevails is tenuous at best, threatened by persistent and deeply rooted political, tribal, and ethnic divisions. The recent discovery of mass graves, mainly located in the western part of the country, has done little to allay fears of renewed violence. The situation is exacerbated by the proliferation of small arms and the desperation caused by widespread poverty. The UN-backed Muntarbhorn Commission determined that serious violations of human rights and international humanitarian law were committed by both sides during the postelection crisis. A number of important steps have since been taken to foster national reconciliation and ensure that key perpetrators are held accountable. A Truth, Reconciliation, and Dialogue Commission (TRDC) has been established, as has a separate Commission of Inquiry. A newly appointed public prosecutor assumed office in April 2011, and the International Criminal Court (ICC) has been cleared to investigate and prosecute those alleged to have violated international law. Gbagbo, for his part, already sits in The Hague, where he will stand trial before the ICC on four counts of crimes against humanity. The Obama administration has pledged support to the Ouattara government, hoping to reestablish a normal trade and assistance relationship and provide a sense of stability to a country still reeling from a humanitarian disaster. However, this relationship is premised on Ouattara’s demonstrated commitment to advance national reconciliation, implement measures that decrease ethnic violence, and ensure that human rights violations are impartially investigated. Unfortunately, the requisite progress on these fronts remains to be seen. 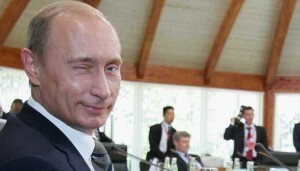 Has Bensouda’s South Africa Power-Play Backfired? The pre-trial chamber, so far as we can tell, simply ignored the request, but it looks as if rather than forcing South Africa to kneel, Bensouda’s attempted power-play may have made the nation more, not less, defiant. Of course, the International Criminal Court and its backers could issue a one-page book on how to achieve de facto immunity: Be a rich, powerful nation that can expand either the treasury or purview of the Hague or…the client state of a rich, powerful nation that can expand either the treasury or purview of the Hague. A couple weeks back we asked whether it might be time for the U.S. to start worrying about the International Criminal Court — an institution that not only sees few if any real limits on its power and has been stealthily circling American soldiers for some time now. 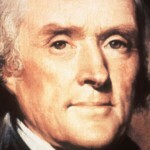 Today, as a service to those seeking a solid philosophical/intellectual foundation for skepticism of this sort of uber-judicial overreach, at home or abroad, we present the following thoughts and insights courtesy American Founding Father and author the Declaration of Independence, Thomas Jefferson. Obviously Jefferson’s critique is of a federal judiciary he worried would overstep its Constitutional bounds. Nevertheless, all of these arguments are more not less pertinent when discussing an aspiring transnational behemoth that seeks to place the entire planet under its uneven and politicized jurisdiction. 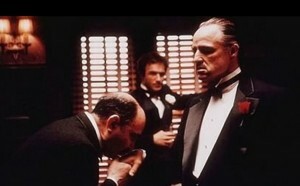 “It is not enough that honest men are appointed judges. All know the influence of interest on the mind of man, and how unconsciously his judgment is warped by that influence. To this bias add that of the esprit de corps, of their peculiar maxim and creed that ‘it is the office of a good judge to enlarge his jurisdiction,’ and the absence of responsibility, and how can we expect impartial decision between the General government, of which they are themselves so eminent a part, and an individual state from which they have nothing to hope or fear?” — Autobiography, 1821. A few weeks back we noted Kenyan “human rights activist” Ken Wafula dramatically recanted his support of the International Criminal Court’s pursuit of Kenyan President Uhuru Kenyatta and Deputy President William Ruto after he was presented with evidence detailing “bogus and planted” witnesses marring the case. ICC Chief Prosecutor Fatou Bensouda, on the other hand, continues — against all accepted norms of established, civilized jurisprudence — to defend, apparently without qualm, her determined use of recanted witness testimony. Thus, even if recanted and procured under questionable circumstances, testimony is valid so long as Bensouda says it is? Convenient! So much for impunity! One might think the biggest problem the Court faces is after more than a decade and a billion dollars spent it has only managed to convict two obscure African warlords. Or that itconsistently worsens the already-fragile situations in the countries it gets involved in. Or that its deterrent effect is nonexistent. Or that Bensouda herself cannot bring herself toacknowledge mistakes and, therefore, the ICC is completely incapable of making the kind of institutional reforms that might make it more fair and less political. Or that it is used as a hammer by the Great Powers that would never submit themselves to its authority. Or that its got a real Africa problem. But, no. We’re expected to believe the primary problem the ICC must deal with is a growing chorus of people pointing out the Court has utterly failed to live up to its own purported mission. It had long been rumored that Namibian President Hage Geingob’s ultimately un-delivered speech to the African Union summit in South Africa last July included a stinging rebuke of the International Criminal Court. Some people are saying we are the ones who created the ICC. However, when one creates something to be an asset but later on it becomes an abomination, you have the right to quit it since it has ceased serving its intended purpose….No institution or country can dictate to Africans, who and by whom they should be governed. 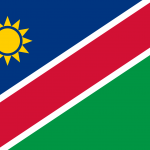 Now the nation’s information minister Tjekero Tweya has announced Geingob’s cabinet plans to make good on that warning, accepting a recommendation by the ruling Swapo Party to withdraw Namibia from the ICC — thorny “technical issues” of exiting the Rome Statute, which Namibia signed in 2002, notwithstanding. The ICC’s earliest supporters, it appears, grow weary of being its only targets. What should an International Criminal Court member state do if it feels the Court is behaving in an unfair, politicized manner by, say, using recanted testimony in a continuation of an already bafflingly “amateur” prosecution? That’s easy, says the ICC: Sit down and shut up. Here’s the story: A Kenyan delegation hoping to lobby other ICC member states at the London Assembly of State Parties Session in its quest to reform Hague practices has drawn the ire of the aspiring transnational behemoth. عليك أن تقدر وقاحة محام في لاهاي يتصرف بجبن مطلق في مطالبه بعدم الكشف عن هويته حتى وهو يدعي سلطة غير محدودة لمنظمته. يوضح محام في المحكمة الجنائية الدولية في لاهاي، الذي طلب عدم ذكر اسمه، أن الأمم المتحدة يمكن أن تتحدى الدفاع الهندي كونه ليس طرفًا في المحكمة الجنائية الدولية بموجب الفصل السابع. وهذا يمكن أن يخلق التزامًا على الدول الأعضاء مثل الهند للتعاون بموجب ميثاق الأمم المتحدة. يقول هذا المحامي “لا يمكنك مجرد دعوة فرد مشتبه فيه بالقيام بالإبادة الجماعية إلى بلدك ثم تقول بعد ذلك أنك عضوًا مسؤولًا في المجتمع الدولي”. The ICC runs into the world’s largest powder house waving a torch. That is how Lawfare Tyranny described the International Criminal Court’s ill-advised and completely unwarranted entree into the most complex, thorniest political conflict in modern history. And now, apparently, others are beginning to wake up to the fact that inserting a highly politicized, truculent aspiring transnational behemoth with a track record of acerbating, not reconciling, conflicts into the mix might not be such a great idea. Naturally, Amnesty International — an organization that has never been able to discern the lofty mission statement of the ICC from the reality of its practices — is not pleased. The Russian state-funded media outlet Russia Today is hyping a recent interview in which journalist Neil Clark insists arresting former British Prime Minster Tony Blair on war crimes charges is not only the single viable way to keep the already-nebulous concept of international justice from becoming a “farce,” but also a wonderful opportunity for the International Criminal Court to at long last prove to the world it is not the den of racists its track record indicates it is. The International Criminal Court, the ICC, I think has indicted 36 people so far — all of them are black Africans. They have been accused of being a racist body. Now there’s a chance for them to indict Tony Blair for war crimes. The case is absolutely crystal clear: He led Britain into an illegal war with a sovereign state on deceitful grounds… A million people have died…If Tony Blair isn’t put on trial for war crimes, then who else is going to be put on trial for war crimes? It really makes the whole system of international justice a farce… The ICC is indicting African leaders for crimes that are not on the same scale as Tony Blair’s crime. The Iraq war was the greatest crime of the 21st century. Of course, as usual, the ICC cheerleading is entirely situational.